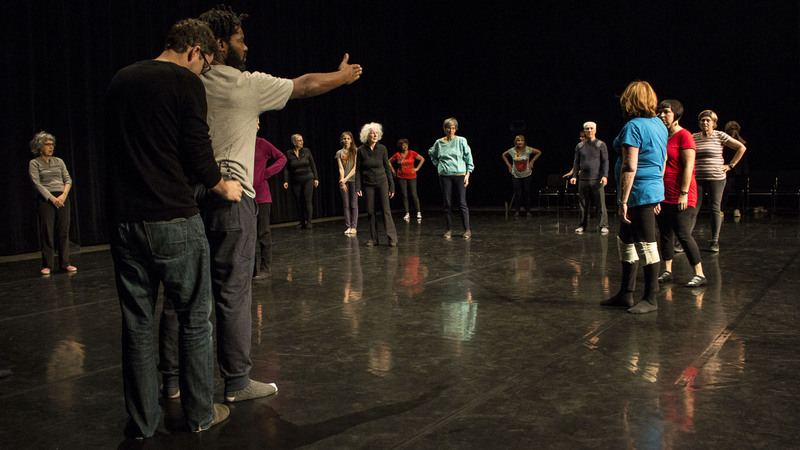 This cultural mediation project, run by Circuit-Est centre chorégraphique, was addressed to seniors who have little to no access to contemporary dance, inviting them to participate in a series of 12 workshops given between February and May 2016. This project began with 6 recruitment workshops in different senior citizens centres, for the final presentation of the project. 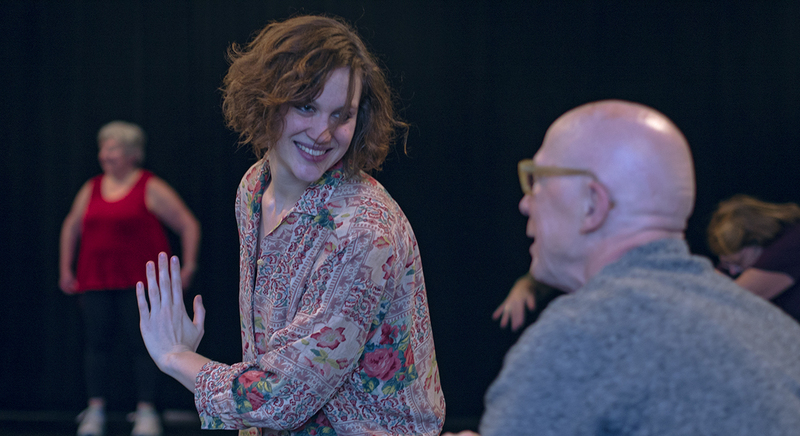 Led by Emmanuel Jouthe and Sarah Dell’Ava, 22 people embarked on an exploration of contemporary dance and enjoyed a new experience that got them moving, improved their sense of well-being, and helped develop their creativity. 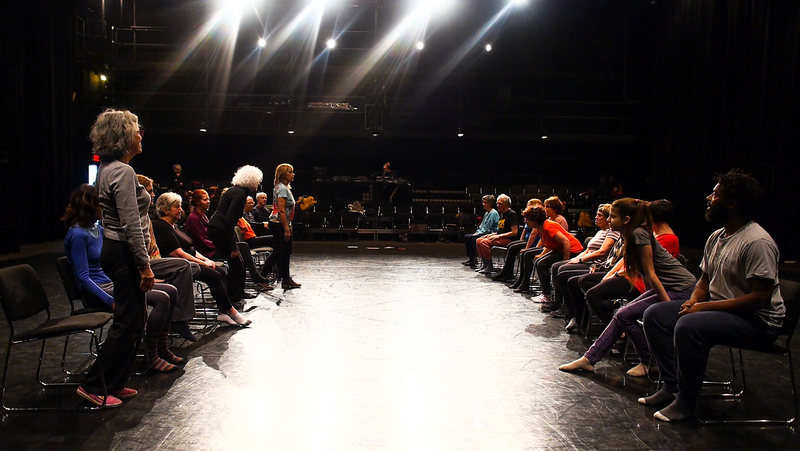 The participants, aged 14 to 71, revisited Vivaldi’s Four Seasons with movement. The idea was to encourage emulation of one another through embodied recognition of the other’s strengths. Each generation brought something distinctive to this shared project. This series of workshops culminated in a performance on April 30, 2016, where 132 people attended a final presentation of participants’ work. Prior to this, two rehearsals were open to the public, so that participants could get used to the idea of having an audience and more easily conclude this process by sharing it with friends and family. This project proved profoundly educational for all, for the participants, who found ways to more freely express themselves, as well as for Emmanuel Jouthe and Sarah Dell’Ava, who enriched their sense of spontaneity in movement and benefitted from the responsiveness that each participant brought to the exercise. Details of this project can be found at etsiondansait.com.